Balm for the Spirit, Food for the Soul. 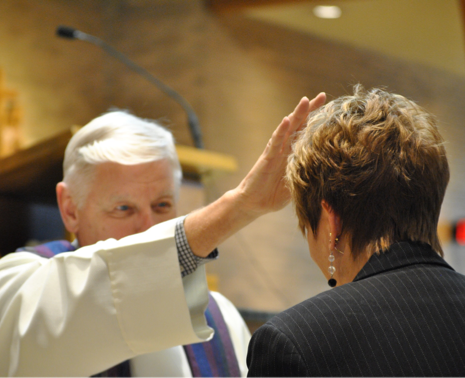 The Sacraments of Reconciliation and Eucharist are regularly available at St. Helen. Confession is available every Saturday from 4:00-4:45pm. Mass times are available on our homepage. One of the two sacraments of healing, this sacrament seeks to provide healing between the person, God, and the church. Confession is available every Saturday from 4:00-4:45pm in the church. Communal reconciliation services are available during the seasons of Advent and Lent. Students preparing for Eucharist and adults in the RCIA process will be instructed on when and how to make their first confession. The Most Holy Body and Blood of Christ. 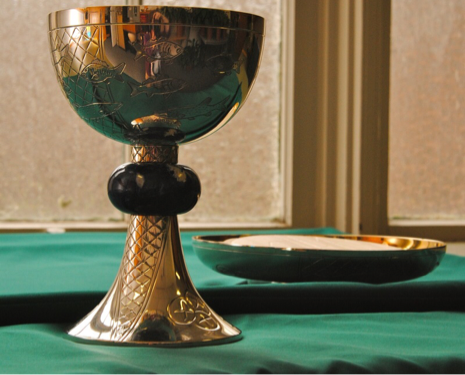 All people who wish to receive the Sacrament of Eucharist must be Catholic, either by Catholic baptism or through the process of reception into the Catholic Church. First Eucharist normally takes place when children are in the second grade, although they must participate in religious education (either Catholic School or the parish Religious Education program) for one full year before receiving the sacrament. Children who are baptized catholic but beyond the second grade year and wish to receive the sacrament of Eucharist should contact the Pastoral Associate for Youth Evangelization. Adults who are baptized in another faith or who never received the sacrament in their youth should contact the Fr. Satish Joseph.